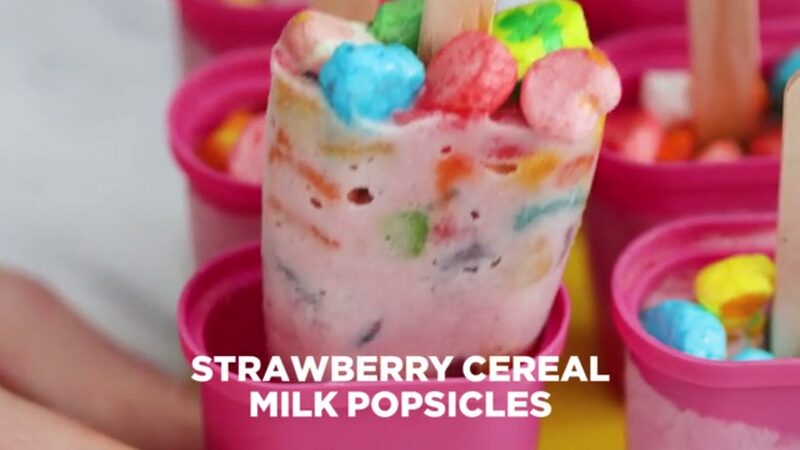 Today, I would like to introduce a wonderful recipe called Breakfast Popsicles. 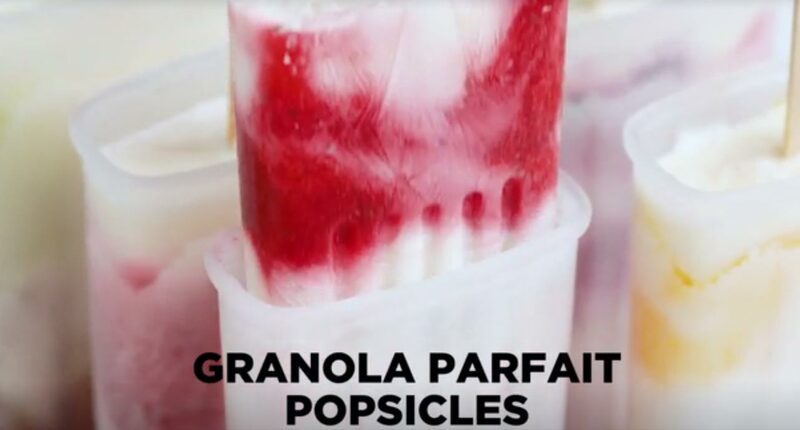 From granola parfait and chia pudding, to green smoothie and fruity cereal and milk, these frozen treats are perfect grab-and-go snacks. 1. In a small bowl, stir together granola and honey. Press into the bottoms of 6 popsicle molds. 2. Puree fruit and water in a blender until smooth. Divide yogurt and fruit puree among the molds. Lightly tap on counter to fill in all the spaces and get rid of any air holes. Add popsicle sticks, and freeze overnight. 1. Whisk together coconut milk, chia seeds, honey, lime zest and juice. Cover and set aside in fridge to chill for 2 hours. 2. 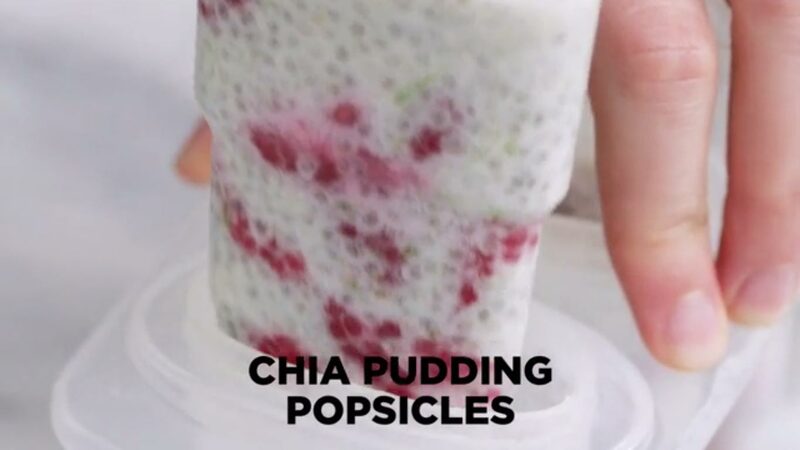 Stir raspberries into chia mixture and divide among 6 popsicle molds. Add popsicle sticks, and freeze overnight. 1. Place banana, strawberries and milk in a blender, and blend on high until smooth. Transfer mixture to a medium bowl, and stir in Fruity Pebbles and Fruit Loops. 2. Divide mixture among 6 popsicle molds. Top with marshmallows, and add popsicle sticks. Freeze overnight. 1. Very thinly slice 1 apple horizontally into rounds. Slice cucumber into long, thin ribbons using a vegetable peeler. 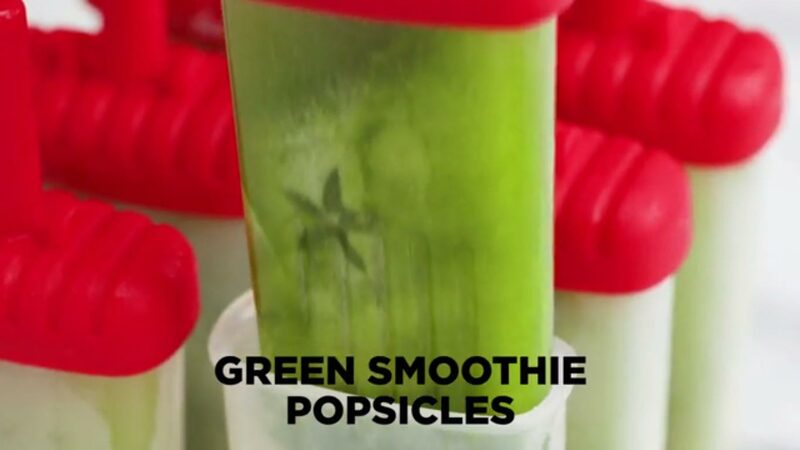 Place 1 to 2 apple rounds or 2 to 3 cucumber ribbons into each of the popsicle molds and press to the edges. 2. Place 1 quartered apple, kale, spinach, pineapple, ginger, lemon and water in a high-speed blender. Blend until smooth. If desired, strain mixture and discard solids. 3. Divide juice among popsicle molds. Add popsicle sticks. Freeze overnight.